All over. Palace hang on and earn their first league win of 2016 thanks to Jason Puncheon. They just about deserved it. Thanks for your company. See you soon. Palace are on the attack and John Ruddy is sprinting back towards his own goal again. Unfortunately for Palace, Wilfried Zaha cannot find a target in the box. Desperate now. Free-kick for Norwich, John Ruddy is up again. The ball is a hot potato as John Ruddy runs back towards his own goal. Robbie Brady then fires over for Norwich after a run across the edge of the box. Gary O'Neil is in down the right, he crosses but Pape Soure blocks for a corner. Norwich keeper John Ruddy is up for it and it's very close to an equaliser. The sun is out at Selhurst Park and there are four minutes of stoppage time. Palace fans singing about Wembley now. They of course have a FA Cup semi-final against Watford to come. Norwich need some inspiration and quickly. The Palace fans are up in arms as Connor Wickham latches onto a ball over the top. The hosts' forward is having his shirt pulled by Sebastien Bassong, but he's also doing the same and referee Michael Oliver gives nothing, which seems about right. Can Palace hang on? It would be a massive win if they can. Are they safe with a win? Maybe, but another point or two will make sure, I reckon. Palace on the attack now as Yannick Bolasie bursts down the left. The ball is cleared and the Palace winger decides to do a few press-ups as the ball is retrieved from the crowd. Like it. Pressure from Norwich as the ball is played in behind the Palace defence. Wayne Hennessey is out of his goal and Patrick Bamford attempts to chip the Palace keeper but fluffs it. The home fans revel in his failure. Another chance for Palace from the corner as Yannick Bolasie almost prods home from close range but Norwich's Jonny Howson clears. Here we go. Wilfried Zaha shows great pace to get the wrong side of Martin Olsson, maybe takes a touch too many, but then draws a fine save from Norwich keeper John Ruddy. Palace corner as Connor Wickham comes on for Dwight Gayle. 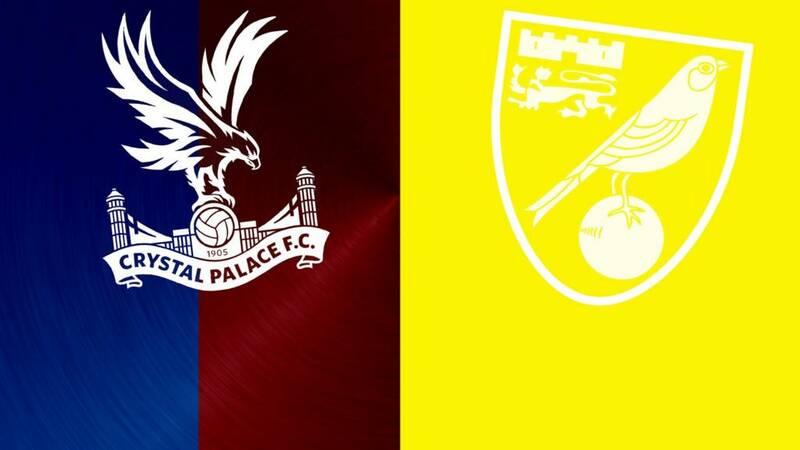 Goalscorer Jason Puncheon is off and Joe Ledley comes on as Palace try to shut up shop. Norwich do the opposite as Nathan Redmond is on for Matt Jarvis. Palace are on the counter now as the game swings from end to end. Wilfried Zaha's shot is saved by John Ruddy. Then, as a Norwich cross is cleared, Martin Olsson's header is taken by Palace keeper Wayne Hennessey. All of a sudden this game has come to life. Newcastle are losing 3-1 to Southampton, while Norwich face Sunderland next weekend. This is big. Robbie Brady is on the lookout for an equaliser now, but Pape Soure makes a great block. Now then. A first win since 19 December for Palace awaits but here come Norwich. Ryan Bennett comes close to an equaliser as his volley is well saved by Wayne Hennessey. What a goal. This is all of Jason Puncheon's making and it's his first of the season. He cuts in from the right, follows his pass, and then curls into the far bottom corner from the edge of the box. Patrick Bamford is now on for Steven Naismith as Norwich respond. Let's say the response from Palace fans is less than welcome after his loan spell at Selhurst Park, which he described as "terrible". Wilfried Zaha is on for Bakary Zako. Can the former Manchester United flyer provide the inspiration for Palace? A warm welcome from the home fans.